Most of what we do in any computer is access, manage, and use files and folders. Having a handful of good tips for using files and folders on your Mac can help you get things done faster and more efficiently. The following are a list of the favorite ways I work within the Finder. A few tips are borrowed from Keir Thomas’s Mac Kung Fu: Over 300 Tips, Tricks, Hints, and Hacks for OS X Lion. 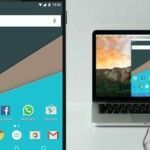 Websites and pages are not the only items that can be bookmarked in Safari or other web browsers. You can bookmark files located in your Finder. You simply select a file and drag it to your browser. It will open and be linked to where you have it located in the Finder. You can actually make a folder of linked files that you might want to open up in Safari. When you delete or move the file from its location, the link of course will be broken. You can drag files, folders, and applications to the toolbar of any Finder window so that it can be quickly accessed and opened. When you drag them, a little green button with a + sign in the middle will appear, which lets you know you can drop it in the toolbar. Similarly, you can also drag any folder into the sidebar of any window for quick access. When you want to rename any file on the desktop or in the Finder, you can simply select it and hit the return key. The word, the existing name, such as “Untitled” will be selected, and you can start typing and rename the file. If you have a file that you want to make sure never gets changed or deleted, simply lock it. To do this, select the file, and press Command+I. In the Info window click the Locked box. 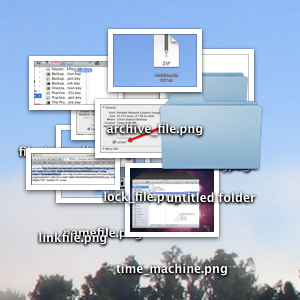 If you use Time Machine, an OS X feature that maintains incremental backups of the contents of your hard drive, you can go into Time Machine and select to have backups of a selected file or folder deleted. 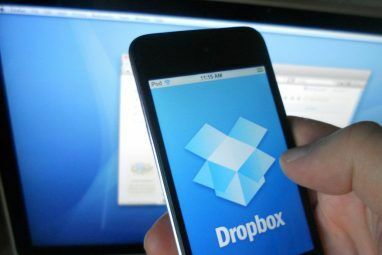 If you’re a Dropbox user, you will know that you can drop a file in the Public folder of your account, right- or Control-click on it and have Dropbox create a URL link to that file. Pretty easy, but with a little application called Bloodrop you can set it up so that when you drop a file onto the application, it will automatically add the file to your Public Dropbox folder and create a link which will be posted to your Mac’s clipboard. Be sure to read the instructions about where to find your Dropbox user ID in order to set up Bloodrop. You can create a new folder anywhere in the Finder–Desktop, open Window, File Open dialog box–by typing Shift+Command+ N.
Got a lot of files you need to email or post for download, such as in Dropbox? The best way to do so is to select them, right- or Control-click, and select Compress…Items. This will create a Zip file that most computers should be able to decompress and open. How do I change the folder icon images on Mac OS X Lion? Let us know what you think of these tips. Do you have any of your own to share? Explore more about: File Management, Organization Software. Keir, thanks for the link. I thought sure I had included it in the article when I wrote it. Great book. Very useful.